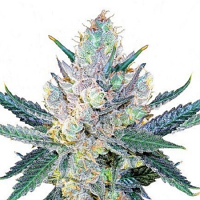 Devil Kush was born of an experimental cross between a male Purkle x OG Kush and a specimen of Sir Jack. 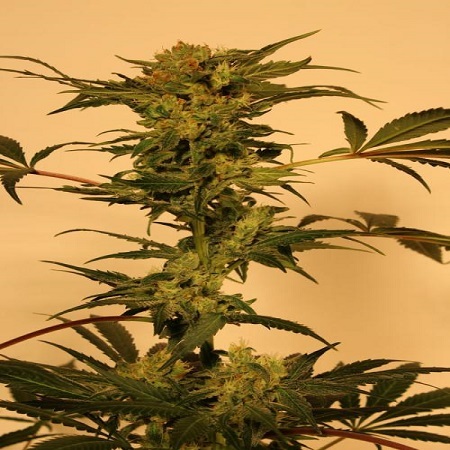 Devil Kush Regular Marijuana Seeds by Exotic Seed: Devil Kush was born of an experimental cross between a male Purkle x OG Kush and a specimen of Sir Jack. 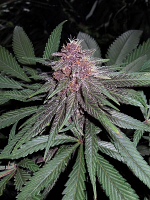 Of the resulting hybrid, we selected different individuals showing characteristic features of its Kush descent. Its structure is totally columnar, with little branching, thus it is advisable for the SOG-type crop. It produces buds in lumps with a very high amount of resin, suitable for all kinds of extractions. It has a nice physical sedative effect, recommended to go to sleep or to the end of the day or watch a movie. 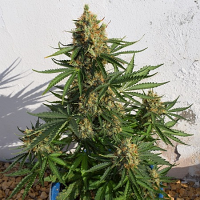 Something to keep in mind when growing Devil Kush is its experimental nature, as we offer it in F2, where we can find a wide range of possibilities and aromas, something that seemed interesting for growers looking for different things and possible parents for home crosses.